The TVS Sherco Racing Team had the perfect start to their 2017 Dakar campaign as Juan Pedrero Garcia emerged as the fastest rider at end of Stage 1 on the first day. 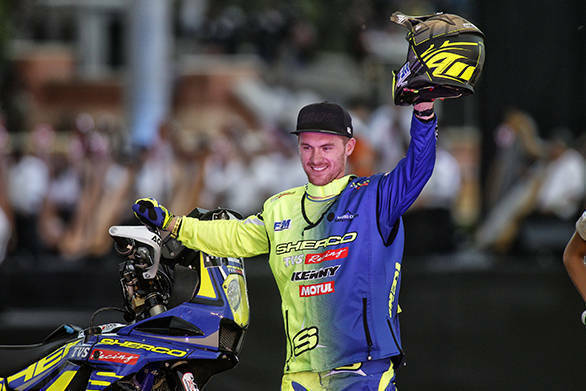 The stage win and overall lead, however, was handed to Juan by Team Yamaha rider Xavier De Soultrait. 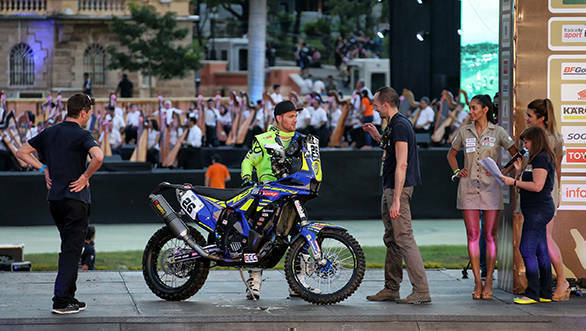 Despite posting the fastest stage time, Soultrait decided to overspeed during the return leg to get a one-minute penalty, which dropped him to 10th overall. He did that for a strategic purpose, as he won't have to lead the field out on Stage 2, the first of the many gruelling stages in the rally. This promoted Garcia to P1, who finished the 39km competitive section of the 454km in 28min and 22sec. Ricky Brabec riding for Team Honda finished second with a 12-second gap to Garcia followed by his team-mate Paulo Goncalves who finished 26 seconds behind the leader. Garcia's teammate Adrian Metge was classified 22nd overall while Indian rider Aravind KP was classified 70th. It may not be the dream run he'd hoped for; however, there are plenty of stages to go and thousands of kilometres to cover.